Safestore Self Storage in Kings Cross is located on Pentonville Road (A501) opposite The Lexington bar. It is 5 minutes away from Kings Cross and Angel tube stations and buses 30, 73 and 205 stop at Penton Street by the store. Finding the store couldn't be easier. From Angel station head towards St John Street, turn right at the first set of traffic lights and Safestore is just over 400m down Pentonville Road. If you're travelling by public transport from Kings Cross St. Pancras Station, the store is just half a mile away and takes only 10 minutes on foot. This store also offers 'Safe Box', a safe way to store very important items, documents and data. 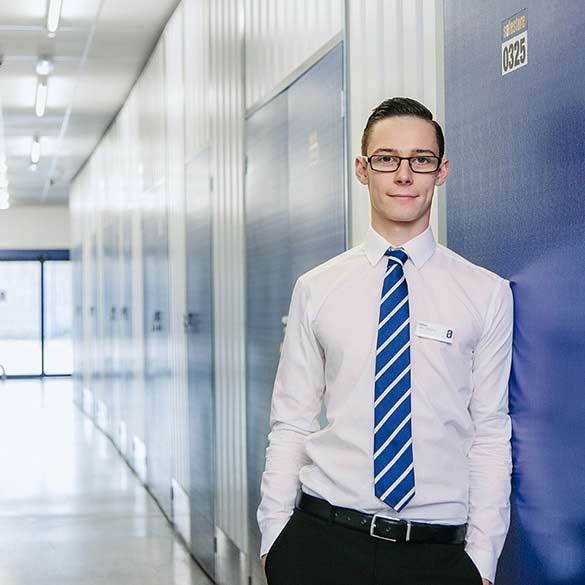 If you're looking for safe and reliable personal, business or student storage in Islington, Pentonville or Angel, Safestore are proud to offer self storage for household, business and student purposes at a price you’ll love. Contact us today or get a quote above now. If you're looking for any other locations, you can click here for self storage in London. We have a range of storage solutions at Kings Cross Safestore, whether you are moving house or just need some space to store your things. Use our storage size tool to help you decide what you need. Get 50% off storage for up to 8 weeks at Safestore Kings Cross with no minimum stay. Offer available at all UK Safestore centres. Get a storage quote at Safestore Kings Cross today and reserve a unit for free. When you move in we won't need a security deposit either. Get 20% off at Safestore Kings Cross if you agree a stay for longer than 12 months. Terms apply. Budge-it Removals Ltd. Is a family run business with our team of fully trained reliable staff. We are available 24 Hours / 7 days a week for all your removal needs. Our friendly professional team will ensure your move is smooth and stress free. We pride ourselves on offering excellent customer service, backed up with skills and knowledge. No job too big or small, full house removals to single items.